Welcome to your August SHIFT-IT e-Zine. Thanks so much for the many warm birthday greetings I received from last issue --- I loved that so many of you shared with me your own stories about turning the big 4-0 and also your home manifestation stories. I moved into my new pad overlooking the entrance to the Victoria harbour just two days before my b-day … such a pleasure! Great new upgraded space for me to work and live in. A special treat was having Morgan P. as my first ‘rooftop’ SHIFT-IT client. We worked outside on my rooftop deck with the different boats, floatplanes and birds adding punctuation to his visioning and alignment session. Morgan participated in the June SHIFT-IT Intensive … we could see the hotel where it was held from my new deck. He reminded me of a conversation we had had on the balcony of that hotel where I had pointed out over the view to an area that I particularly liked … turned out his grandmother’s home in which he had spent many happy times was there. I said how I was really attracted to that area of town for some reason. Well, just a month later, I’m living in it … gotta love the power of intention! 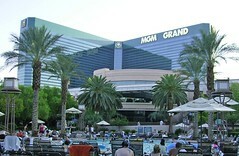 After being in my new place for about a week, I hopped on a plane for a 4-day workshop in Vegas. Was a very intense experience with lots of insights, reactions and an opportunity to see several of my internet marketing friends and mentors. Frankly, I’m still stirred up by some of the things that went down, so this issue’s article is self therapy … a way for me to clarify and share some of my thoughts about marketing and growing one’s livelihood with integrity and aligned action. I know that many of you are entrepreneurs and solo professionals … so hopefully this will spark some thinking and dialogue for you too. Sept 15-Oct 27 (Mondays, 4-5:30 pm PST by Webinar): Level 1: SHIFT-IT Virtual Coaching Group What’s the IT(s) you want to SHIFT? Get crackin’ with this 7-week group coaching experience that guides you step-by-step through the completion of my SHIFT-IT Graphic Coaching Process®. Appreciate your past. Contemplate your present. Precisely clarify what you now want to manifest and bust through the junk that is keeping you stuck. Conducted via webinar technology with participants from around the globe. Includes SHIFT-IT Home Retreat Kit (or dis-count if you already have it!). Register Now to Secure Your Spot. Sept 14-Nov 30 (Sundays, 10-11:30am by Webinar): Level 2: Merkley’s Manifestation Mastermind Got your Magnetism Map all worked out? Ready for your next level of manifestation support? This Level Two experience is for past SHIFT-IT attendees … the next level of Law of Attraction learning, integration and community. Learn more in-depth LOA practices plus get deep private coaching on your unique specifics. Plus sessions on the complimentary outer world tools of internet marketing, web technology, team building, etc. Register Now to Secure Your Spot. Nov. 5-8: Meeting Graphics 101 and The Graphic Bootcamp (level 1 and level 2 combo): Yes, its true. This is the LAST EVER offering of my popular, inspiring and nurturing training in using interactive-graphics in group settings. Learn the base underlying skills for graphic recording and graphic facilitation, no matter what level of artistic ability. Plus all the inside scoop on marketing, business development and personal mindset … for both internal and external consultants, facilitators, trainers, etc. Let my over 14+ years experience live on thru you! More Info. Sold Out … wait list building. 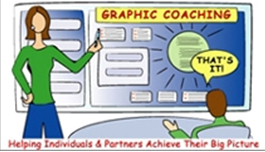 Ongoing: Private Mentoring and In-house Trainings: One-to-one graphic recording and graphic facilitation training for yourself or for your organization. Come to me or I come to you. Only available to the end of this year as this stream of my business is concluding on Dec. 31, 2008 – get my rare knowledge out of me and into you while you still can. Let the skills live on! More Info. I just got back from an intense ‘success workshop’ that rattled me (some of the things modeled about wealth acquisition and law of attraction methods, while not necessarily incorrect, did rub against my value system). Those of you who have been on my list for a while, realize that over the last several years, I’ve been incorporating more and different types of marketing techniques in my own coaching and info product practice. This issue’s article is a bit of self-therapy … to help me articulate what I believe and stand for on these interesting topics. What’s the biggest marketing lesson I have learned in the last few years? Simply this … be brave and be yourself. When I started ‘coming out’ about my Law of Attraction beliefs and also using more internet and other marketing techniques – I was a bit apprehensive about how my constituent base would react. My list of folks mostly knew me via my graphic recording and graphic facilitation reputation and skills … so it felt like a leap to also share other things that I was skilled at (particularly the graphic coaching niche and products I was developing and my ardent belief in Law of Attraction principles). It took some guts for me to step out there and change things. But not quite as much as I would have thought – as the response as been overwhelmingly positive. Lesson learned: trust that who you are is just fine and that enough folks out there will respond to you. If you are going through your own SHIFT – I invite you to jump sooner rather than later … as you will find that its not such a dramatic, scary thing as you might have thought. Not everything in my shift has been all sunshine and roses. Several folks (including a few colleagues and friends) have opted out of my list and have felt the need to leave me with parting comments as they do so. As a recovering people pleaser, this hasn’t been an easy thing. However, its been hands-down one of the best things that I’ve ever experienced from a growth perspective. It’s made me develop better boundaries and ego strength (and better systems to screen out the stuff I don’t need to see and have effect my vibration). And also build in legitimate feedback loops too. I’ve come to see these comings and goings as an energy flow --- a case of Law of Attraction in action. As my vibration shifts, a recalibration has to occur. Folks leaving my list (and new ones joining it) are a sign of the energy change. As business owners and entrepreneurs, our job is not to manage the changing tides of people coming and going (law of attraction takes care of that). Our job is to be ourselves, so people can either be attracted or repelled – they get to decide whether or not we are a vibrational match for them (or continue to be). In working with lots of heart and feeling based professionals (like attracts like) I see that many of them have real problems with ‘selling’ and ‘marketing’ – that these are somehow ‘bad’ things. Also, there are some real familial, social and cultural norms at work too (Canadians, New Zealanders, British … seem to have particular challenges with re-framing their ideas about marketing and sales). So I have to help educate and re-program clients so they can SHIFT their blocks and inhibitions about marketing themselves and their offerings. I used to feel conflicted about ‘selling’ too. But now, I actually like doing it because it makes me feel good! For me, it has transcended into a matchmaking function. I have excellent products and services that have great benefits. I want to match them with the people who can benefit from them … so the energy can flow through them. My offerings and I don’t do any good if we just sit on the sidelines. So, it’s up to me to get the word out and for people out there to determine if I am a match for them … so those who are can find me. Like anything in life, sales and marketing is an inside game. You need to feel good inside yourself and have as high a vibration as possible about what you are doing. You can’t fool the universe. The vibration that you hold about yourself and your offerings radiates out from you. You need to get that core aligned first. Then the outer world stuff flows from there. One of the reasons that I like the internet marketing models so much … is that they are permission based. That people give their permission to receive information and are empowered at any time to opt out – a total freewill relationship. And, these methods are also based on giving. If you check out my sites, blog, e-zine etc … you will see that I offer a ton of free information. I love doing this! Not only is it fun for me to originally create that content but it feels good to have it up on the web knowing even the fr-ee stuff helps people (I get tons of compliments on my generosity and that adds to the feeling good vibe all round). If people go on to my other programs, then that is awesome. But if they don’t that is totally cool too. Thankfully more than enough do to sustain me or other forms of abundance are drawn to me. It all ‘works out in the wash’ as the saying goes. Basic beginning marketing stuff as well as the very handy concept of developing yourself as an ‘info guru’. She’s since gone on to cover the whole gamut of methods beyond just e-zines in her Online Success Blueprint Program. Copy is all of the writing that you put out connected to your business. Learning good copywriting techniques has been an invaluable skill to develop. Sheri has several companies around web entrepreneurship, creating and running membership groups and a forum for women writers (all as a mother of four!). My current coach (I’m in her platinum program) … all about systems and building a proper team and backend for effective, smooth and sustainable growth. As I was sitting in last week’s workshop, my internal guidance system was on alarm mode (like a big siren) --- at the different ways audience members were reacting and behaving. I was getting increasingly uncomfortable and at one point actually left the room and my group – which while a difficult decision to make (I didn’t want to let anyone down) was the right one for me. Just like my reaction to that particular experience, I invite you to pay attention to your own internal guidance system as you go about building and marketing your business and looking for people to assist you in that process. Pay attention to your own emotions and feelings --- about what feels right to you and what doesn’t. In the web world, there is a huge buffet of offerings to choose from. I invite you to choose what feels right to you and discard the rest --- we each have to figure out what to put on our own plates and eat (to borrow an Abraham analogy). All the best in making a delicious selection! Ask Christina: I'd Like to Learn Graphic Facilitation, Where Should I Start? Ask Christina: Do I Do Minor Modifications to My Office Space or Go for the Full-On Reno? Birthday Bash! Three Days Only! Besides the Blog, there are plenty of articles to read in the Ezine Archives. Browse past issues here. Have something you want to ask me? Curious about SHIFT-IT, graphic coaching, Law of Attraction, etc ??? FYI, I’ve added a new option to the website .. an ‘Ask Christina’ section. Ask me your most pressing SHIFT-IT questions. Most popular and interesting questions … and my answers (hopefully as interesting!) will be posted on the blog. Are you in on the fun at Facebook? Have your own profile? If so, let’s be friends! I’m under ‘Christina Merkley’ … in your note, be sure to let me know you are an e-zine reader and anything else you care to share … so I know you truly are a friend. Click Here to Go to Facebook Now! We're also now on Twitter! If you use Twitter to watch people's updates, come and follow mine! Twitter is a quick growing trend in the social media scene and one that will prove to become very important in the business world! Click Here to Go to My Twitter Profile Now! Ready to bust out of your status quo? Want to take things up to your next level? Curious how to really apply those Law of Attraction principles you have been hearing about for REAL effect? Let's work together - by phone or in- person (in my charming Victoria BC studio). I'll get you to see and understand how you are currently creating your reality and bust you through the barriers, self sabotage and limiting beliefs that keep you stuck and locked in your status quo. Through our powerful work together you will systematically attract what you really want (better work, improved relationships, healthier body, enhanced prosperity - whatever it is that you want and need to shift for the better!). See testimonials from my many satisfied clients. Can't travel to me? Want to experiment with the SHIFT- IT work on your own? Now Graphic Coaching tools right at your fingertips. Conduct your own SHIFT-IT Graphic Coaching Retreat® - from the privacy of your own home. Your life isn't a dress rehearsal. In fact, its happening right NOW. Is it going the way you want it to? Do you know what you next want? Are you sure you can do it? Get organized and confident with the step-by-step SHIFT-IT Graphic Coaching system. In this innovative kit, I walk you through your past, present and desired future, so you can plot out your directions and strategies. You also pinpoint and flip the negative beliefs, assumptions and mindsets that stand in your way - to stop sabotaging yourself and your dreams. SHIFT-IT has already helped hundreds live life by design, not by accident. Learn how it can help you too! Visit the Association of Web Entrepreneurs today and learn from the top industry experts on the Internet (including yours truly)! Membership includes over 30 educational programs, a resource library, monthly expert teleseminar (audio and transcript), discounts off many products and services, free promotion on their Blog, connection to a global network, and much more! Click here now and get their free eReport, 10 Mindsets Web Entrepreneurs Must Have To Succeed! Christina Merkley is The SHIFT-IT Coach. Creator of the SHIFT-IT Graphic Coaching Process®, she guides individuals, partners and groups in defining and getting what they really, really want. 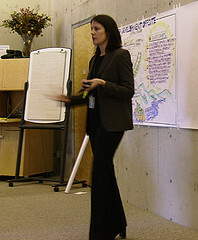 A teacher of Law of Attraction, she is also an expert in visual meeting techniques, strategic planning and visioning: having worked for such notable companies as BBC, Readers Digest Funds, eBay and Stanford University. After a move from San Francisco, she now lives in charming Victoria, British Columbia, Canada - where she maintains a vibrant coaching, facilitation and training practice. Copyright © 2004-2008 Christina L. Merkley. All rights reserved.